I get it. You want to be discovered. And search engine optimization is part of that. 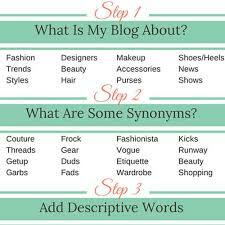 But it’s easy to stuff keywords into your articles or blog posts anywhere to get visibility. There’s more to online marketing than that. There are specific techniques you can employ to get the best out of your marketing strategy without affecting the readability of your content. You have to use keywords the right way, or you won’t get noticed like you thought you would. Google and other search engines are smart. They value quality over quantity and can identify keyword density and its effectiveness. Engaging online with people who already interact with you and your website promotes your website to relevant audiences. By showing an interest in your followers, you present yourself as genuine and sincere, and you can provide a more meaningful and customized experience for them. Use a blog to accomplish some of this. You can create shareable content by being unique and original. 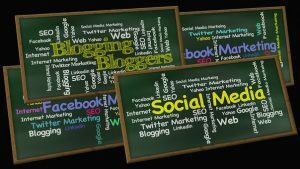 Linking to other blogs or external sources shows that you foster a community of sharing within the industry and value the opinions of other industry experts. 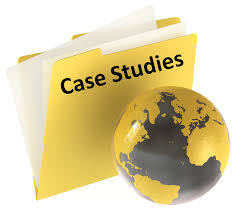 Case studies highlight individual clients and their success stories. 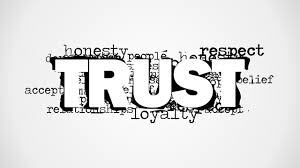 It helps other potential clients feel like they have second-hand experience with what you do and makes you more trustworthy. Present these case studies in a visual format like a video showcasing a client interview, or ask your clients to write a quick testimonial you can post on your site. Pump out news articles or letters to your readers that are relevant to your industry. Keeping up-to-date on the current trends or industry struggles will always benefit you in ways other than direct marketing. 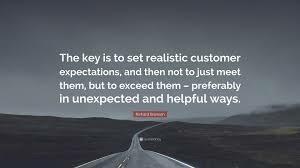 Sounding knowledgeable when you speak with clients will get you farther than almost anything else will. Online promotions or contests engage your social media followers, inspire friendly competition, and offer freebies that everyone likes. This is one of my favorite SEO marketing techniques because it gets the online community buzzing about your brand, no matter what sort of freebie you’re offering. You should always use these marketing techniques safely and effectively. Ethical business practices and principles are at the core of everything you do. 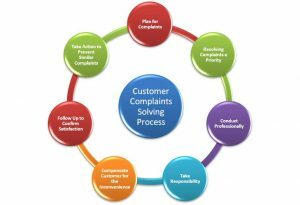 Using these techniques effectively can help you improve your marketing strategy performance and maintain integrity. Search engines are smart enough to recognize quality over quantity, so link building is an essential marketing tool that you shouldn’t overlook. Acquiring links from education websites and other trusted industry experts can drastically increase your rank on any search engine and make you easier to find. 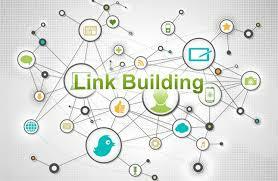 As I mentioned above, blogging is a great way to start link building. Linking to relevant external sources in your blog helps to build credibility with other experts in your industry. 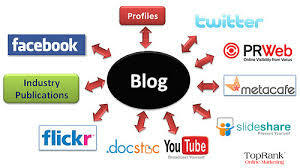 By sharing blogs on social media sites, you begin to develop inbound links as well. Linking to other blogs on your site sometimes generates a ‘return the favor’ sort of attitude within the community, and simply linking to other people’s work can build a good linking foundation. You can also create organic inbound links by guest blogging on someone else’s site. Researching the links your competitors use is a useful tool for knowledge building. You can learn a lot from the way your competitors link to other content. You gain valuable insight into their strategy, the keywords they are using, and what they feel is important. Using this information, you can build better links to outrank them. Calls to action with internal links keep people on your site and help them to discover more about you. Writing content that links back to yourself does many things. It creates a backlink, and it promotes other products or services you offer. You can use these tactics to upsell as well. Providing your users with genuine, useful content comes in many forms. It is critical that you understand how to use keywords effectively because keyword density impacts the readability of your content. Link building techniques provide structure and understanding to what you publish. If you desire more money and amazing freedom in your life check out my done-for-you system and join my team now. When you promote affiliate products, in many cases the person actually selling the product is going to provide you with the text you can simply copy and paste into your email. But sooner or later you probably are going to have to create some emails yourself. And even if you don’t, it’s important that you understand why the emails you send out are structured the way they are. 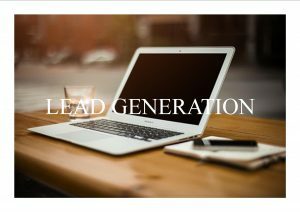 As an affiliate marketer, you are sending an email to the people on your list because you want them to do something: In most cases, purchase your products. Given the quantity of emails most people receive, it is unlikely that your recipients are going to be willing to spend much time reading all the way to the end of your email. In fact, in most cases you will be lucky if they open it at all. In a sales letter, for example, you have the luxury of several pages to build excitement for your product. In contrast, with a print ad you have only a moment to use images and tag lines to grab your viewer’s attention. A marketing email falls somewhere in between. Like a sales letter, the purpose of your marketing email is to drive your reader toward a Call to Action … or the CTA. In other words what it is you want them to do. Unlike a sales letter, you don’t have much time to get them there before their attention wanes. As a result, in many ways a marketing email is like an abbreviated sales letter. If your autoresponder offers this option, use it because it makes the email more personal. You also want to always make sure the content of your email is interesting and on point. Don’t digress or swerve off onto other subjects. Remember that your recipient is receiving dozens, even hundreds of emails per day and they probably are only going to send a few moments on yours, if they open it at all. In most cases, the email should be no more than one page or a page and a half at most. Try to limit your content to less than a dozen paragraphs, if possible. So know you know how to create an effective promotional email that is going to convert your customers to buy the affiliate products you are promoting. Knowing how to effectively use email swipes to keep pushing your customers past the buying point is critical to your success. 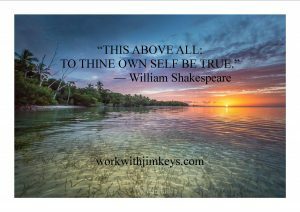 If you’d like to have access to even more powerful marketing tips, as well as a way to generate conversion-ready Internet marketing prospects each month, click here to learn about my done-for-you system. I grew up on a small dairy farm in Tennessee with seven siblings and had so many childhood experiences, good and bad. At 17 I was in the Corps of Cadets at Virginia Tech with students from all walks of life where everyone just seemed to be looking out for themselves. In 1975 I started my first job as a scientist and conservationist with National Forests in an all forester organization that did not want or respect scientists. I worked my way up through ranger districts, forests, and regions and landed a position in headquarters as a program manager. I received many battle scars along the way. But, throughout my life I’ve tried to be true to myself. I am still trying today. -making decisions about those things you really should make for yourself. I hope every day you are working on being true to yourself. For more ideas on how to make Pinterest the next stage of your marketing campaign, check out ArticulateMarketing.com. Online advertising spending has surpassed spending on television advertising. While PPC advertising is a big chunk of this spending, social media advertising is becoming just as important. 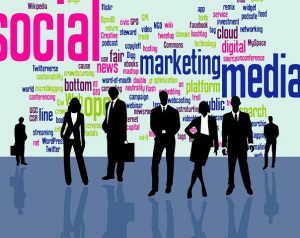 If you’re not already using social media ads to gain new followers or more prospects, then there are a few techniques that you should adopt. You don’t need to use social media ads to direct users to your various landing pages. There’s more that you can do, such as highlighting non-sales efforts. For example, you can use ads to let consumers know about your charitable efforts or upcoming events. Many of the biggest corporations employ this method, but it can be just as effective for your own personal brand. You’re able to highlight details that allow people to connect with your brand on a personable level. Another option is to use ads to encourage participation. You could use this to learn more about your target market. Learn more about their interests by using an ad to direct visitors to an online poll or survey. One option that’s been used quite effectively by various brands lately is to simply ask a question in your ad and direct users to comment on a specific post. This spurs conversation, all of which revolves around your brand, helping you gain new followers. Most social media networks have their own form of sponsored posts. These are essentially paid ads, in the form of a social media post. This lets you instantly reach more social media users, increasing your chances of gaining followers. Sponsored posts can be combined with the other techniques. 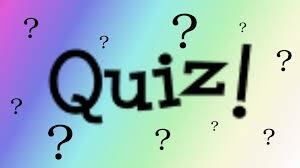 You can use sponsored posts for your online polls or highlight your achievements. The idea is to gain more attention than you might with other forms of paid advertisements. With any social media ad, you can target specific regions, areas, or demographics. Use this to narrow down the focus of some of your advertisements. 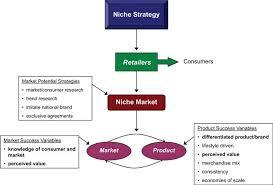 Consider a form of niche marketing. When you target a smaller market, you’re likely to face less competition. You can also alter your ads for different regions. This easiest with Facebook targeted ads. Facebook provides numerous options for targeted ads. For example, you can target Facebook users that have a specific interest or hobby. You can also target users based on their age range or geographic location. When using Facebook ads, another option is to exclude visitors to your website. If you decide that you want to focus solely on people that haven’t visited your site or know about your brand, this is a great option. You can even alter this to include retargeting. With retargeting, you’ve got the option to only display ads to users that have previously visited your website. You can even set the time since they last visited your site. This helps increase overall engagement. You can’t just rely on paid ads. You also need to stick to your existing marketing strategy. Continue to post on a regular basis. Don’t count your sponsored ads or paid ads as another post on your regular schedule. You want to continue growing followers and engaging with your audience. 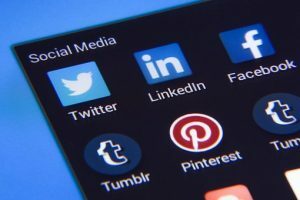 Use paid ads as a supplemental technique to boost your social media presence. All of this is geared towards increasing your overall online presence and helping you grow your brand. Start thinking outside the box. Don’t just use social media ads to direct visitors to a landing page. If you’d like to have access to even more powerful marketing solutions, along with a program for getting conversion-ready internet marketing prospects each month, then click here to learn about my done-for-you system. Most of the time, businesses start blogging as a way to build an audience. However, the reverse seems to be happening. More and more people with blogs are starting to monetize their traffic. It makes sense because one of the hardest things to do as a business owner is grow your traffic. If you grow your blog first, you already have a solid following to support your business idea. Starting a blog is easy, but if you want to make money later, you need to think about your strategy and set yourself up for success. It’s important to know what you need to grow your blog and grow your traffic. A blog is a weblog of content updated regularly. 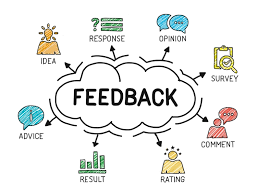 It’s an online publication written in a personal tone, meant to share opinions, teach others, develop a personal brand, or sell products or services. Blogging is fulfilling, but it also requires commitment. It’s important to be consistent, no matter how often you publish. Your audience grows to expect your posts, so keep at it, and don’t disappoint them. Finding the time to flush out your ideas and do it consistently is the hardest part of blogging. 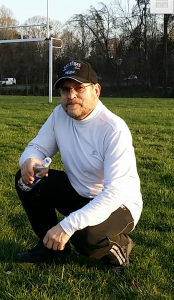 Once you find the time, starting a blog is straightforward. Consider your opportunities to monetize your blog, determine your audience, and plan a publishing strategy. 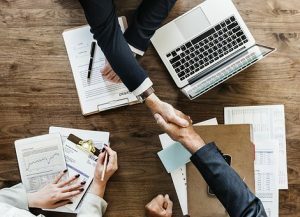 You need to think like an entrepreneur to make this venture profitable in the future, so map out the groundwork for your distribution and monetization now. Most people think of running ads on their blogs as a way to make money, but there are other ways. Building a loyal audience is more important than building a big one, and you won’t earn the trust of your followers by spamming them with ads all the time. Instead, think of ways you can sell physical or digital products that align with your audience. Sell your services as a writer or designer. Publish a book. Create subscription-based packages with platforms like Patreon. 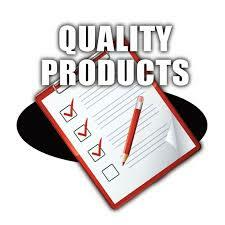 Do paid reviews or become an affiliate for other brands. You have to enjoy blogging for it to succeed. Dedicate yourself to serving your audience as best you can. With all of the information on the internet, it’s hard to stand out. Try to choose a topic that’s hard to find elsewhere. It’s also critical to choose a niche audience. There are so many internet users that it’s impossible to appeal to all of them. You can focus on a specific location, present your content in a different style, or focus on a smaller segment of a bigger market. For instance, writing about steakhouses in Kansas City that serve steaks larger than forty-two ounces allows you to focus more deeply on your topic that choosing to write about steakhouses in general. When it comes to hosting your blog, you have two choices. You can host it yourself or host it on a paid platform. If you host it yourself, you have more customization options. You still have to pay a fee, but it’s less than a paid platform, and you have more flexibility in design. 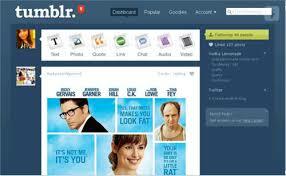 Using a service to host your blog is the best option for those who don’t know a lot about design or HTML. Some options include Blogger and WordPress. Think about how you want to monetize your blog because not every platform gives you what you need. You can also use free platforms like Medium or Tumblr. They have built-in audiences, making it easier for you to get started, but they provide less customization, and your blog design ends up looking like everyone else’s on the platform. This is a great time to think about what you want to name your blog. Unless you plan to build a personal brand or portfolio, don’t use your name. Think of something catchy, fun, and descriptive of your brand. This name should reflect your blog’s identity, add personality, and be easy to remember and type. Thinking about how to grow your blog and having a solid plan in place helps you to build momentum quickly once you get started. If you don’t have a plan, you may end up struggling with distribution because you don’t have a strategy. Publishing is nerve-wracking, but having a plan can alleviate some of that. Planning for growth involves collecting emails as soon as possible. Use a service like MailChimp to store your subscriber list and make distribution easy. It’s free for up to two thousand subscribers. You can also use MailChimp for signup forms, which is a critical piece of capturing this information. Embed your signup forms directly into your content with a call to action to subscribe, so the experience is seamless for your audience and easy to manage for you. 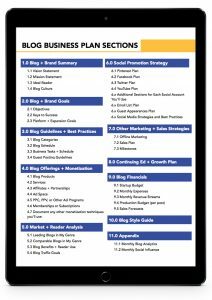 Here is more information about writing a blog business plan that can give you more ideas. Blogging can be stressful, but it’s also a blast. Use these tips to think about how you can grow your blog to make money later. The great thing about starting a blog is that you don’t have to quit your day job until you start making money. If done right, once you start making money, you’ll grow quickly. Best of luck in your blogging. What is creative thinking? We all need it in our lives and business. Why would I say that? Well, if we all were to set aside some time each day where there would be no distractions and think “outside the box” about our daily tasks, the problems we are facing, and all these challenges that seem to be road blocks, we would be more likely to achieve greater success. -Be more successful in your life and business. So, practice creative thinking each day. 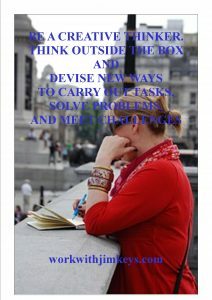 It is essential you set aside a time for creative thinking that best works for you. Use that opportunity to overcome obstacles and deal with problems or challenges you face. An effective landing page is one of the most useful tools in your marketing arsenal. I’ve used them successfully for many years and I always advocate their use to other people. 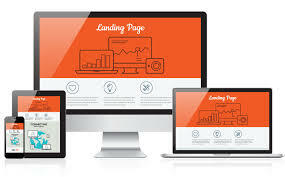 A landing page is where all of your new web traffic is directed. It’s the main focus of your traffic generating efforts and it’s also the first thing your visitors will see. And contrary to what you might think, the best page for a new visitor is probably NOT your homepage. 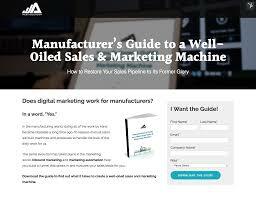 A good landing page will grow your opt-in list while preselling at the same time. The first step in creating a landing page is choosing the platform. 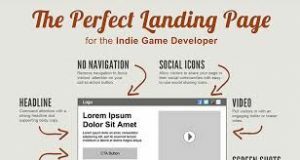 Landing pages have been made using nearly every method imaginable. The trick is to choose one which is easy for you to use while, at the same time, making sure it works on a variety of devices and browsers. WordPress is one of the most popular options because it is so easy to use. It has become an industry standard platform and is versatile enough for a variety of uses. 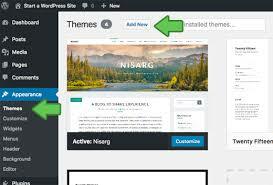 You basically purchase a domain name and web hosting, install WordPress for free, and then install a free or paid WordPress theme (site design). Other options include things like OptimizePress (a fantastic theme for squeeze pages), Drupaal, or even basic HTML if you know how to write code. Search around and you’ll find that headlines are used in all of the most effective landing pages. This is the first bit of text anyone will see. It’s basically the title of your landing page and should grab the visitor’s attention. Sometimes you will only have a few seconds to capture that person’s attention, so the headline needs to be strong. Sub-headlines can be a great addition when using a lot of text. You can think of these like chapter titles in a book except you’ll be using paragraphs instead of chapters. These are great additions because people might skip over some of the text to get the information they want. Make these strong, too, but save the most important benefits for the main headline. The way you design and arrange your landing pages is important. It can be a good idea to look at a few successful examples created by other people. The headline should be right at the top, followed by a bit of sales copy and information about the offer you’re presenting under it. Images can also help add impact to a landing page. Pictures of the product, as well as stock photos and other inspirational images, can help your visitors connect with your offer. Or, in the same place, you can have a short video that says the same thing. Or both! At the end (or usually on the right side of the screen) is the call to action which, in this case, is an opt-in form. For a long time, landing pages were all about text. 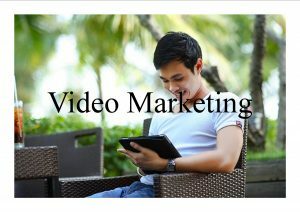 With web-based video becoming so popular, however, many marketers are utilizing this state-of-the-art technology. Videos make presenting information incredibly simple. They require less work on behalf of your visitors and can deliver a large amount of information in a short period of time. Videos are inexpensive to produce and there are a number of ways to have one created for you. An opt-in box is a simple form which allows visitors to submit their email address. They usually do this in exchange for a free gift. This is the main purpose of your landing page. When they fill out the form, their address is added to your opt-in mailing list. You can now keep in touch with these leads and present them with great new offers later on. Building effective landing pages is a bit of an art, and testing to see what works is more scientific. It can be hard to figure out exactly what works over time. Here’s one example. If you’ve tried everything and still aren’t seeing your list explode, then it’s time to discover the secret—the 4th ingredient to my master Sales Formula can instantly double your income overnight. Find out how by clicking here now.